The company charged with selling the broadcast and sponsorship rights to World Rugby's proposed Nations League has warned the Six Nations unions concerned about the financial impact of relegation that jumping into bed with a private equity company and putting the tournament on pay TV would leave them far worse off. Unions have until April 5 to say whether they are in favour of the new league, which would start in 2022. Switzerland-based Infront Sports and Media, which would sell the rights, has guaranteed £5bn (€5.8bn) over 12 years, but with World Rugby insisting that the Six Nations and the Rugby Championship be underpinned by divisions below it and promotion and relegation introduced, countries like Ireland and Scotland fear going down would lead to financial ruin. "This is an opportunity to radically transform the game," said Dr Christian Müller, Infront's vice-president. "We want to make rugby more popular throughout the world, not just in higher viewing figures but by increasing engagement. If you put a sport or an event exclusively on pay TV, you will kill it." The Six Nations have been holding talks with four private equity companies about securing their rights for the tournament and autumn internationals. They would give up a 27 per cent stake in return for some £80m (€94m) each, but would lose commercial control and could see the Championship taken off free-to-air television. "A fair balance between free-to-air and pay TV is required," said Müller. "Otherwise, your exposure suffers and you make less from sponsorship because the viewing figures are not there. Look what happened to Formula 1 when it was squeezed for short-term gain and that must not happen to rugby. People are interested in sport in countries you cannot imagine, but you cannot make it more popular on pay TV." 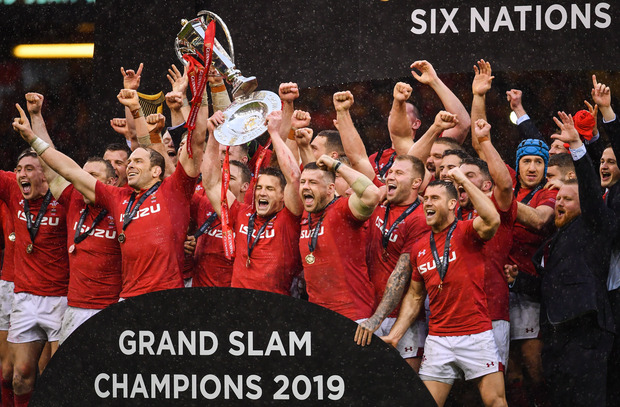 The relegation issue would not be introduced immediately and the Six Nations and the Rugby Championship mainstays have been guaranteed their current sponsorship revenues through to 2033 by which time they would be £35m (€41m) better off through incremental revenues. Any nation relegated, after a play-off, would receive a parachute payment. "It is up to World Rugby and the unions to reach agreement," said Müller, whose company is involved with 160 sporting bodies and every major broadcaster in the world. "It is important the unions do not look for a short-term fix and we are prepared to address any of their concerns. This plan puts international rugby into a competitive framework and would make it more attractive. "Everyone would enjoy a substantial rise in income. I understand concerns about relegation and a lot of change and disruption is not good for a sport, but with football so strong and various other forms of entertainment posing threats, rugby has to look beyond its strongholds. The strength of this plan is that it offers both income and exposure, guaranteeing stability."